In the late 20th century, long before China began stretching high speed rail networks across the world, Cantonese and British investors struggled against disagreeable Imperial authority and quarreling Western powers in an attempt to bring the steam age to China. The Peking-Mukden Railway was a critical artery of this line, and it's development was overseen by British engineers in the early 1900s. Though reasonably well intact, the house is not recognized as a landmark of any importance (like virtually all Shenyang buildings from that era, unfortunately) though locals in the area around the house noted that relatives of the British engineers who lived here have come back to see the home. 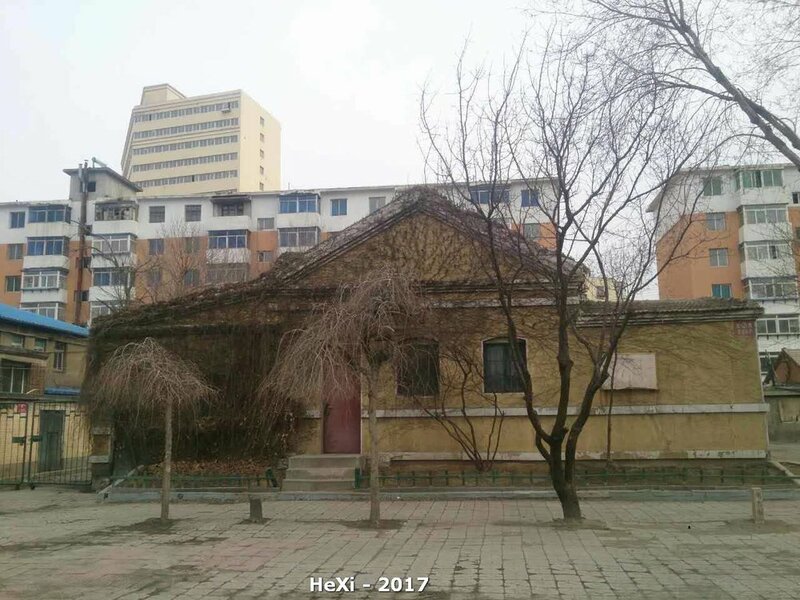 BWAXN, in partnership with the local historical group "Shenyang On My Mind", is hoping to document the history of this rare building. If you have any and all information on the people who lived in this home or worked on this project (such as names, dates, or pictures) we would be very thankful if you could share them with us. Please use the comments section below or e-mail us if you can share any details or recommend any further reading. Thank you! If you're interested in learning about the history of China's first true rail project, there is an absolutely brilliant historical overview of the entire line's construction available on the Hong Kong Railway Society's website. It includes a fascinating story of early Chinese railway history and has many invaluable photographs. It is available through the link below. Special thanks to Shenyang On My Mind for the photos.